I spent around half an hour sitting on my front veranda watching these little ones. They flit from one tree to another so quickly when disturbed. Thankfully I was lucky enough to move a little closer and capture this beautiful photo. Lovely capture. They are hard to capture. They are the only bird species that we regularly see here. Well captured against the sky background Fav. Thank you for the follow I am now following you . Very nice shot of the group! Nice capture! 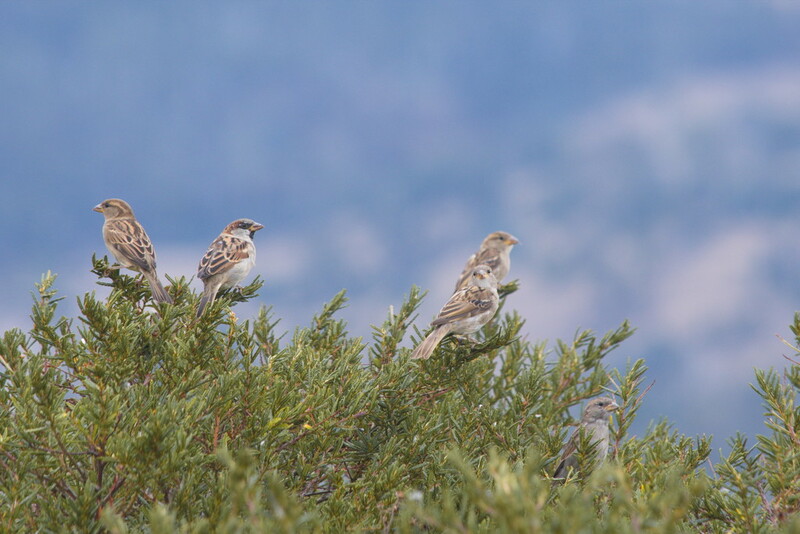 The sky is a pretty background for the sparrows.